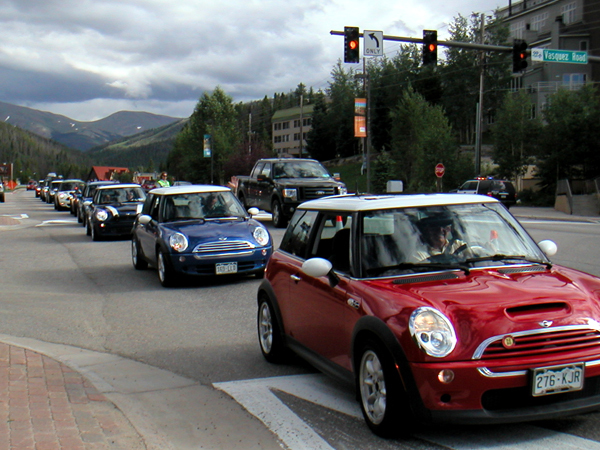 Ready for some High Altitude Adrenalin Fun with the MINI Cooper as we wind our way up Berthoud Pass to Winter Park with our bikes on the roof…We joined up with over 200 MINIs bringing over 300 participants to this FUN Raising EVENT. 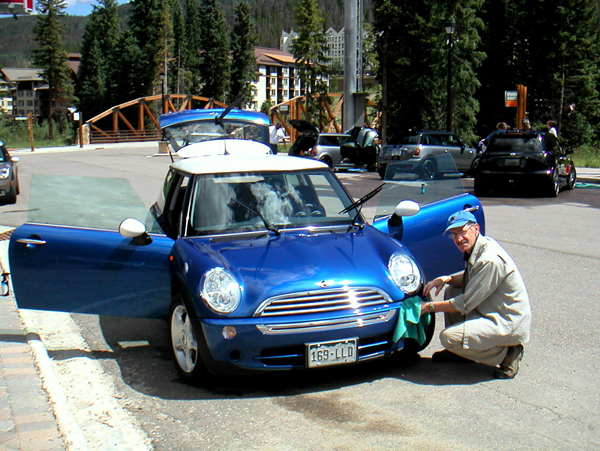 The MINI gets washed and waxed at the special Car Wash set up by sponsor Prima Care, who also lets you demo different products for an awesome shine. The MINI parade on Thursday evening to downtown Hideaway Park. There is Henry waving while driving in at #86 in the lineup. All the cars looked beautiful until that dark cloud came our way…sigh. The shower was brief and didn’t interrupt the good concert by Slopeside. We brought a nice picnic dinner complete with a bottle of red wine to enjoy while the sunset over the mountains. 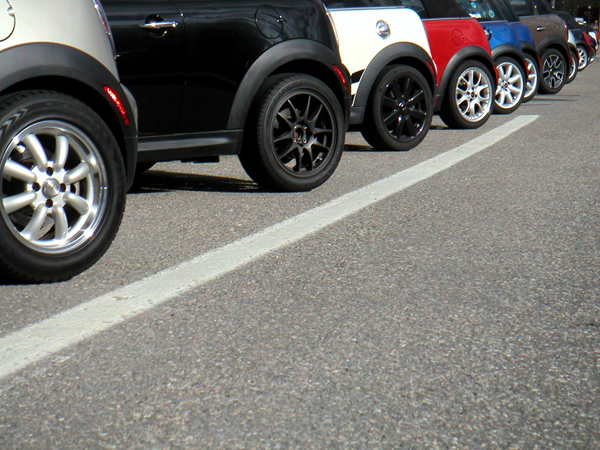 105 MINIs got to park on Main Street…that is Highway 40 with one lane closed just for the Coopers, Clubmans, and Countrymans. Seriously, no two MINIs are alike. Everyone smile for the group photo…Friday after another little rain cloud wet the pavement. !NUF car show in the Village on Saturday…the 30 cars attracted quite a lot of attention.There was even a classic MINI this year with the Union Jack roof. A really nice week with time to hike and bike. To walk and talk and have picnics in the park. And to meet people from all over the USA with their MINIs. 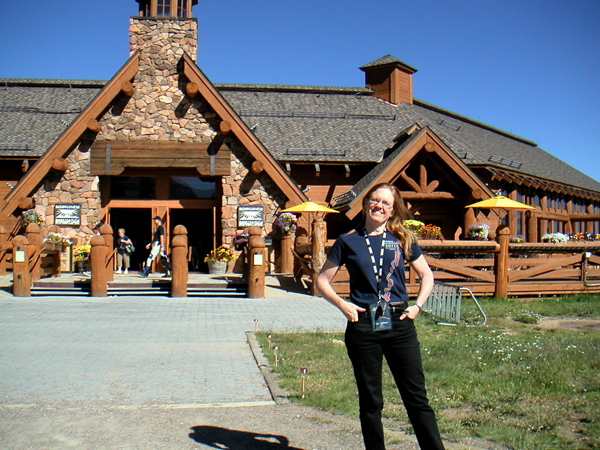 We are glad all made the effort to be in Colorado and to enjoy the beauty of the mountains. 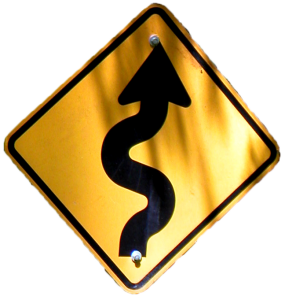 This entry was posted in Automobiles, Colorado. Bookmark the permalink. Well, I’m finally unpacked and slipping back into the work/home routine with a couple new additions: fall classes (a fitness class–again–and ITA-101), and a new girlfriend. I wish I could finagle a way to work remotely and spend the whole summer up there instead of down here in the Phrying pan!